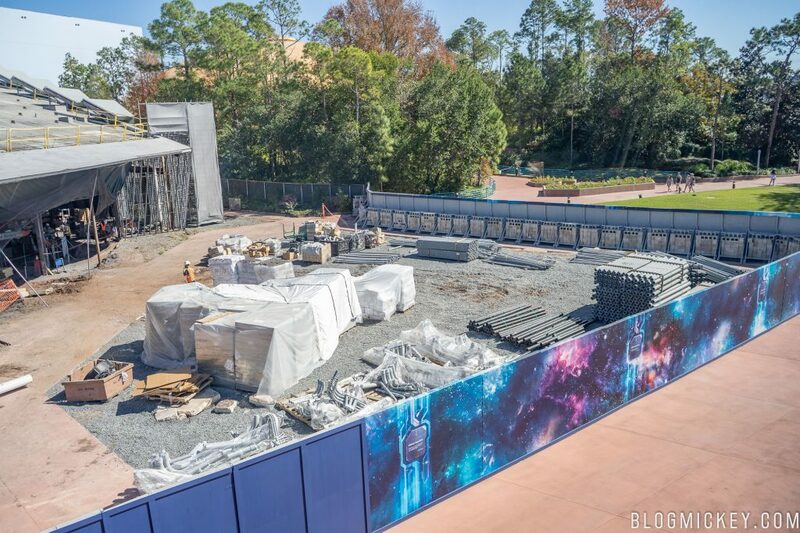 As part of our continuing look at Epcot construction projects, we have arrived at the Guardians of the Galaxy roller coaster. 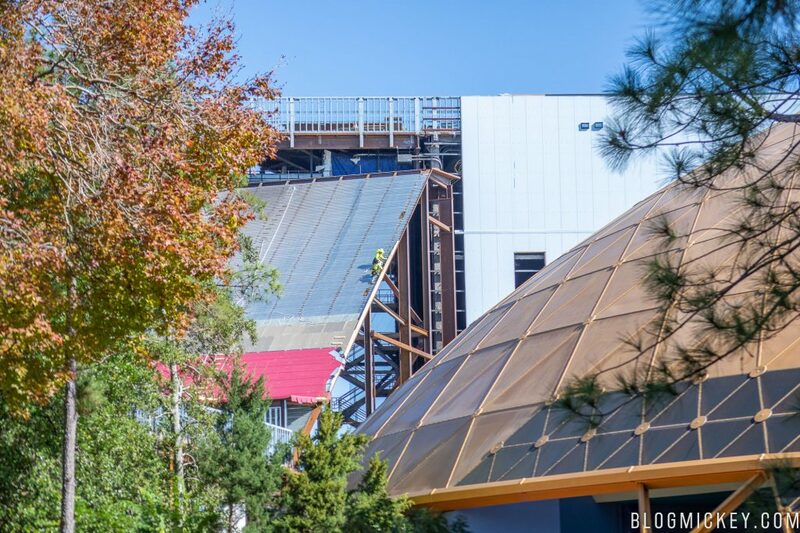 The coaster will take over both the Universe of Energy pavilion and a newly built structure. 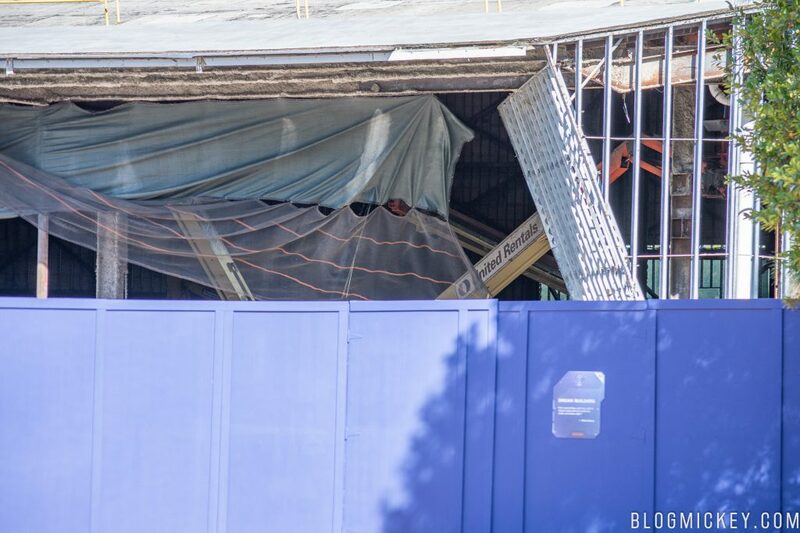 The multiple queue show scenes will be located in the Universe of Energy building as well as the load and unload area for the roller coaster. 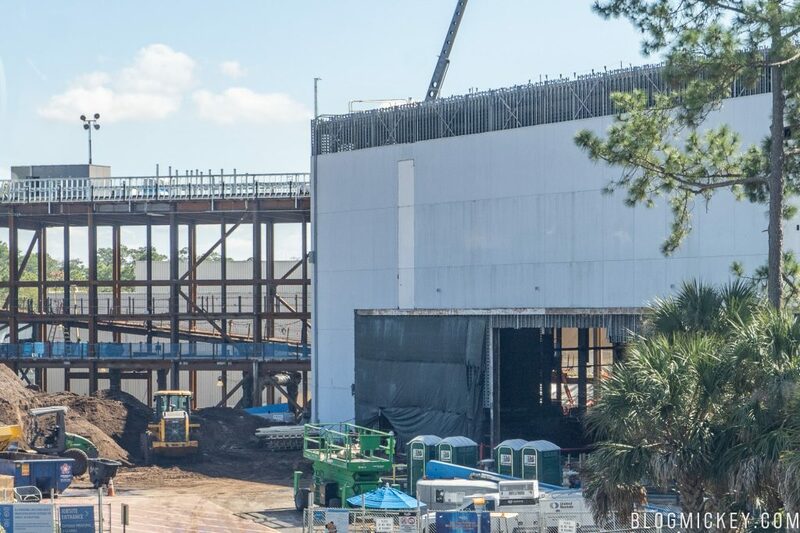 The majority of the roller coaster as well as the show scenes will be in the newly built warehouse-type building that took over a wooded, unused area. Today, we noticed quite a bit of activity related to the roof of both the Universe of Energy structure and the launch tunnel. 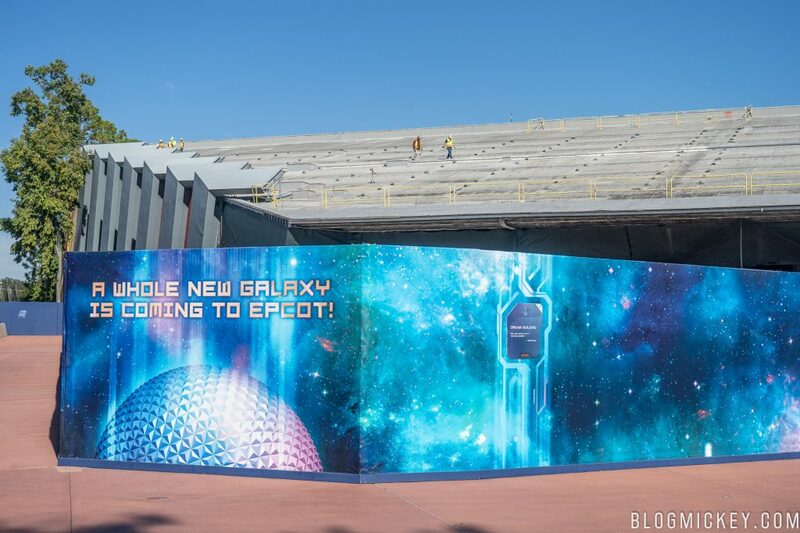 We’ll start from inside of Epcot and take a look at the front of the building as of this morning. Here’s a look at the other side of the wall. The roof saw the complete removal of the solar panels last year, despite their presence in the concept art as seen below. Workers could be seen inspecting the roof near the top. It’s possible that they were actually discussing what’s happening on the back of the building. 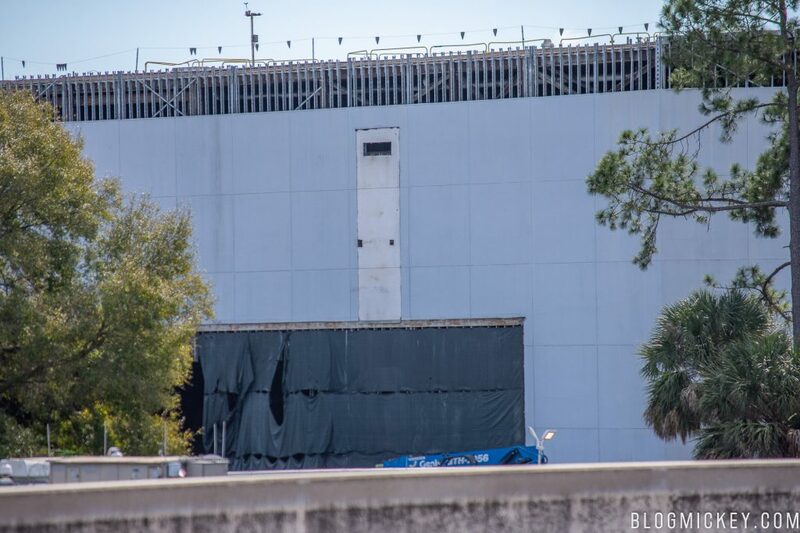 A section of wall has been removed along the entire length of the backside of the structure. We noticed it when we were walking into the park, but walked over to the monorail platform for a better look. 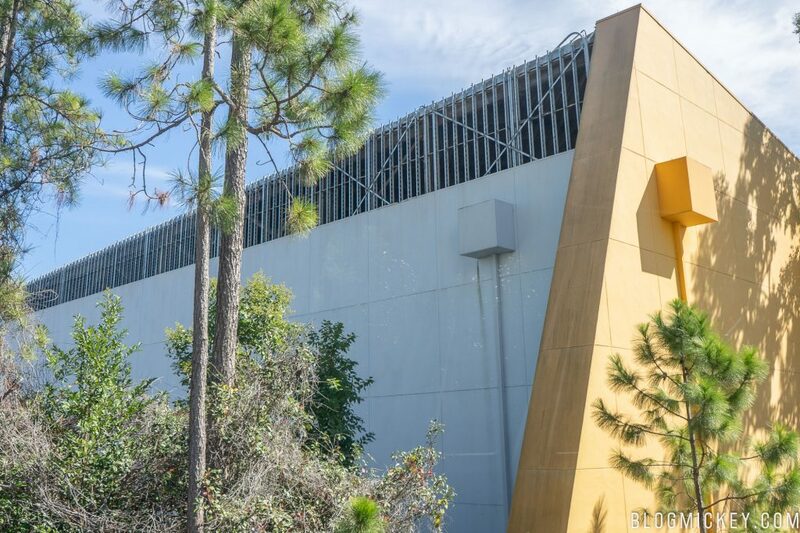 Here’s a closer look from on the monorail as we passed by the building. It’s unknown if this is a structural change or if it’s simply for ventilation for the swarm of activity happening inside that require heavy machinery. As of right now, it’s still completely gutted and dirt. 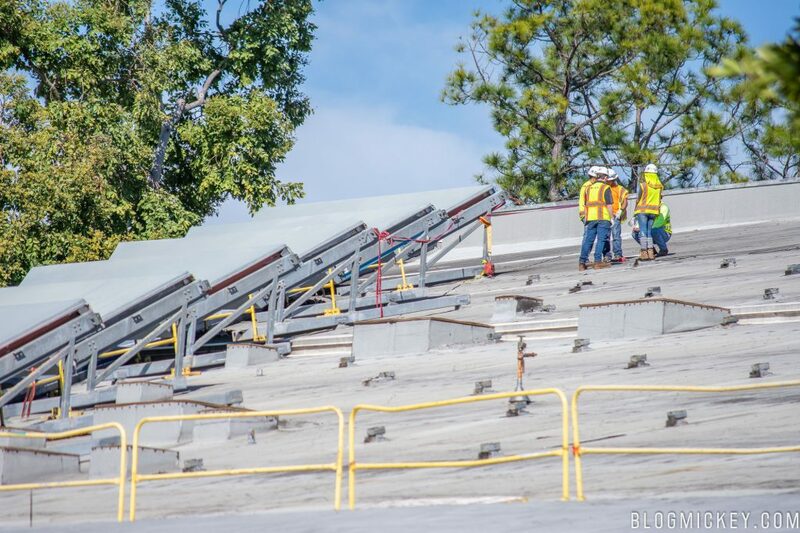 The Universe of Energy structure wasn’t the only place construction crews were working on a roof. They could also be seen high atop the launch tunnel roof. 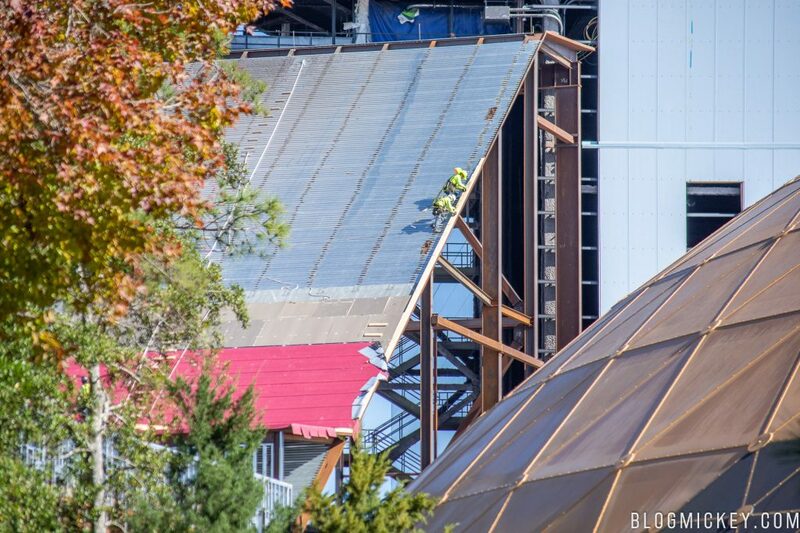 You can also see the inclined first roller coaster track piece installed wrapped up to protect it. 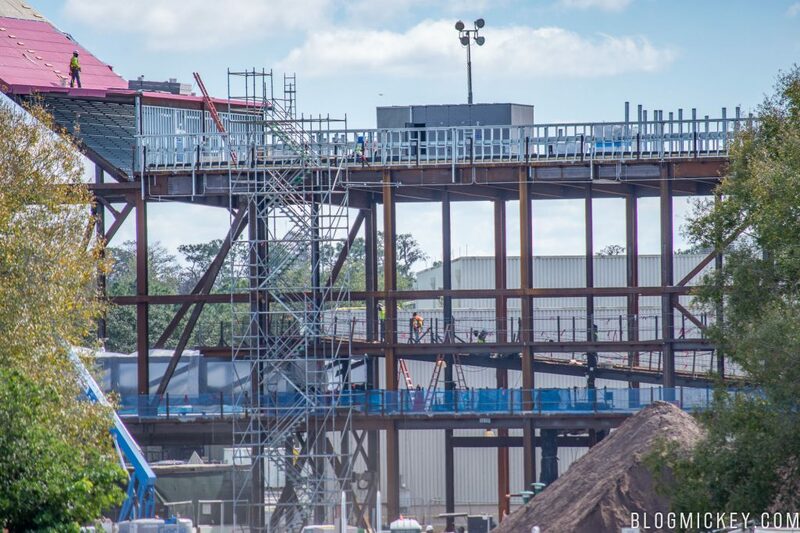 A few more looks at the workers from inside Epcot. Speaking of the launch tunnel. 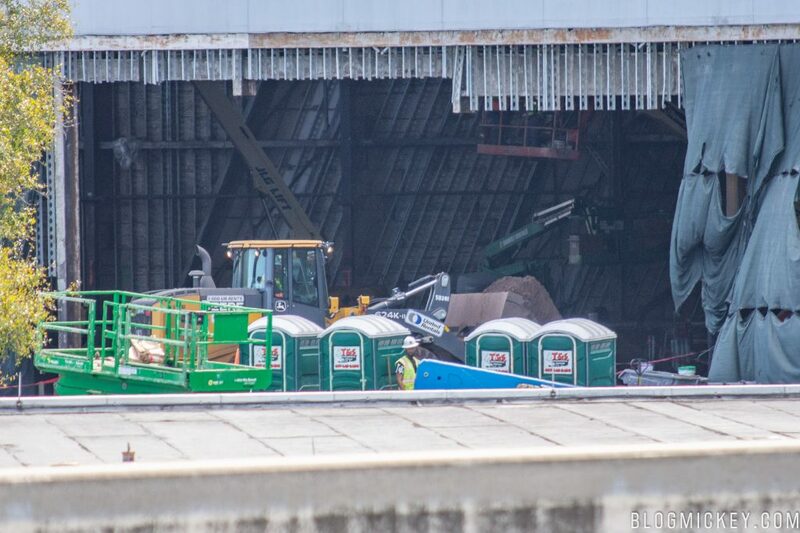 Here’s a latest look at the launch tunnel as it meets the inclined roof. Finally, let’s take a peek inside the building. Here we see a backhoe taking dirt out of the building, as well as some cherry pickers inside. 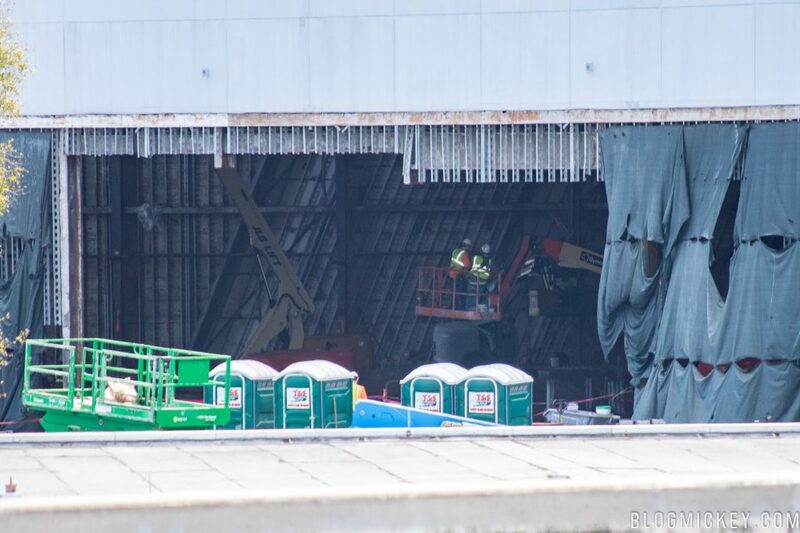 We were also able to see that a hole has been cut in the side of the Universe of Energy building for the launch tunnel. 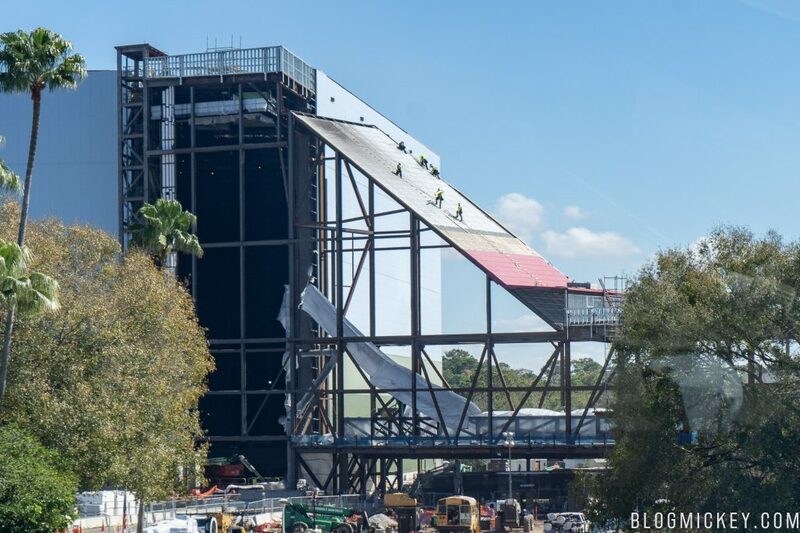 This will allow guests to load and unload the roller coaster in the Universe of Energy building before launching into the large gravity building. This hole allows crews to connect the two buildings. The Guardians of the Galaxy roller coaster is scheduled to open by the 50th Anniversary of the resort in 2021. Why not show cover and/or first pic without the print overlay. It ruins pic.